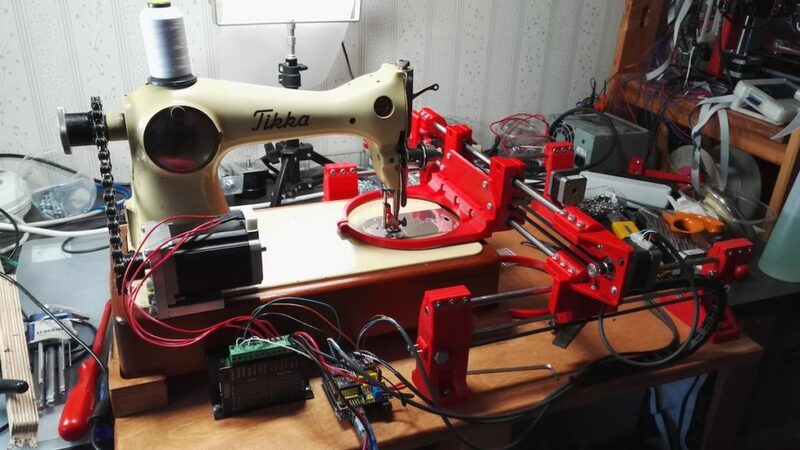 The “Self-Made Embroidery Machine” employs a setup very similar to a 3D printer or CNC router. Two steppers move the fabric around, while a third actuates the needle. This allows the user to program in decorative shapes and patterns as shown in the video below, and the build process is well documented if you’d like to create your own! great project! I am very interested and would like to build one for myself, I have worked with GRBL before on CNC? 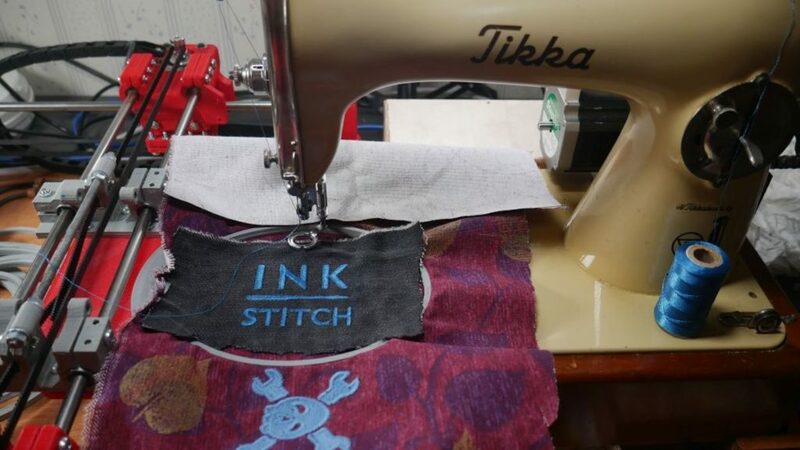 and lasers, and I have already the old sewing machine and some boards, but there is something I do not understand, how do you manage to move the fabric only when the needle is in the top position? Do you have the Z limit- switch attached to the needle mechanism? so the gcode would be like: go to Z0,move some XY, go down a bit then go Z0 again? I watched your video again and realized that my first assumption was not right,singe the stepper motor for the needle is always moving in the same direction, so now I am even more intrigued! my guess is that the G-code for Z is always increasing like Z10, stop, Z20, stop, Z30, so how do know when to stop to avoid making a mess with the fabric?